After 14 days of travel and adventure, we’re happy to say that Beth and Murray have touched ground back on the Big Island! They successfully recovered Europa and all of the valuable scientific data that was collected on the mission. They then cleaned, disassembled, and packed up Europa in her entirety and shipped her home. She is expected to arrive on the Big Island within the next day or two. 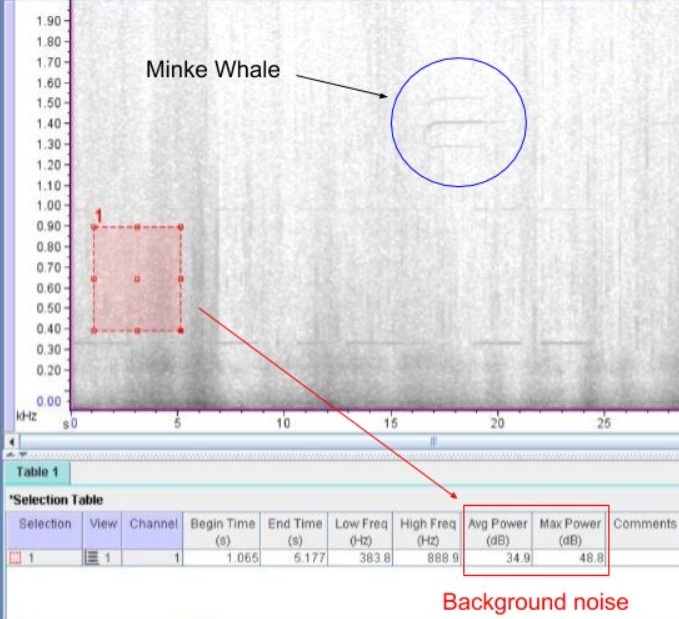 For now, we are beginning to analyze the acoustic data. This is a pretty long and tedious task, but extremely valuable and necessary. We have lots of video and pictures documenting the trip, and will post some of them in later updates. 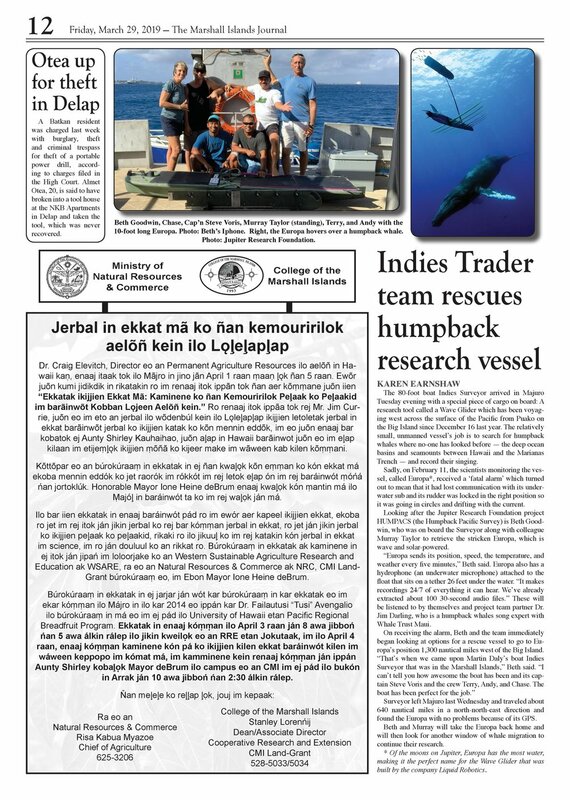 Until then, check it out…we made the Marshall Islands newspaper! We just wanted to let everyone know that Europa was successfully recovered about 650nm north of the Marshall Islands on Friday afternoon. 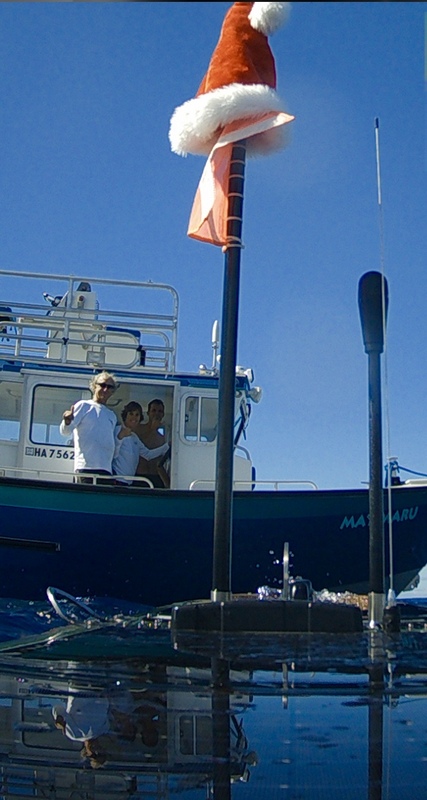 Beth, Murray, and crew got Europa on board safely and without doing any damage to the glider. They’ve already began pulling off data and trying to diagnose what went wrong. We don’t know much yet, but we’ll keep you posted! As always, feel free to follow along on the journey at the HUMPACS page. Hold On Europa, We're On Our Way! As you all know from our last couple of blog posts, we lost control of Europa’s rudder module back on February 11, 2019, and have been putting our efforts towards recovering her since then. Weather, logistics, and plenty of other things have been roadblocks, but we are now happy to report that WE ARE ON OUR WAY! 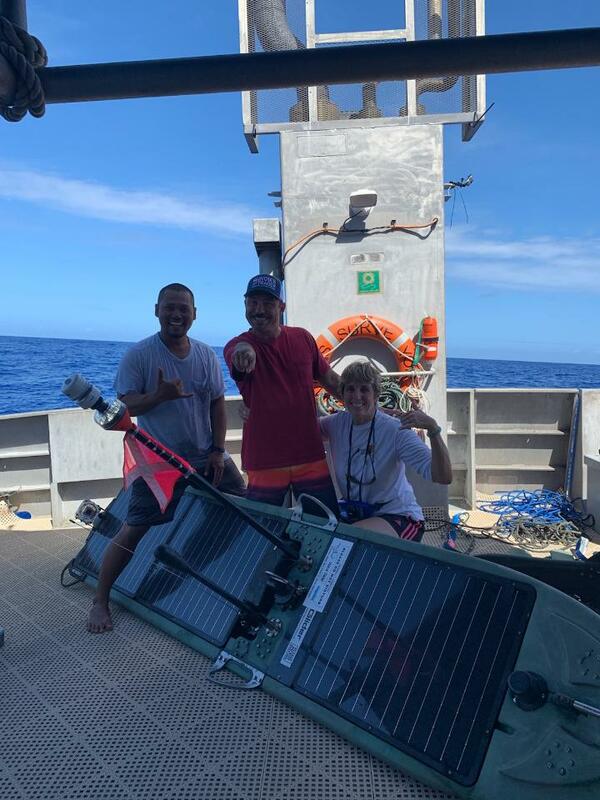 This last Sunday, two members from our Hawaii team, Beth and Murray, started the journey to the Marshall Islands, and are now on a boat heading out into the deep blue sea to find and recover Europa. They are currently experiencing 22kt winds and 8-10'+ swells. Fingers are crossed for good weather and safe travels; and of coarse, a successful recovery. If things stay on schedule, we’ll hope to report back that the rescue mission has been a success in just a few days. We’ll definitely keep you all posted, but if you’d like to follow along as Beth and Murray make way, check out our HUMPACS map. You can click on the boat icon and see the distance until they reach Europa. Ok, that’s it for now. Safe travels Beth and Murray! Not having control of the rudder module on Europa has really put the Jupiter team in a tough spot. We are completely at the mercy of the sea. For the past month we’ve continued to put our efforts towards recovering Europa, but we’re not there just yet. In the mean time, we can still learn some things! Like we mentioned in our last post, when we lost communication to the sub, the rudder automatically set itself in a “right rudder” position. Again, the goal is that it will do circles and stay in the same spot until it can either be fixed or recovered. The ocean currents, however, have different plans! If you’ve been following Europa you’ve noticed that it definitely hasn’t stayed in the same place. The currents are very strong out there in the middle of the Pacific Ocean, and even though Europa’s “right rudder” may slow things down, it’s not stopping the inevitable drifting to wherever the sea may take it. The last 30 days of Europa’s travel, all of which it has been drifting with the ocean currents. As you can see, Europa is all over the place! When we look a little closer, you get a really good idea of what’s happening out there. Currents can (and do) change all the time. For example, there might be a strong SW current in a location at noon, and then by 4pm it’s turned into a mild NW current. Wind is the main contributor to surface ocean currents (the top 100m of the ocean). In the Northern Hemisphere, the winds basically circle in a clockwise motion. From East to West near the equator, and then from West to East up North. This helps to explain why Europa is drifting in a SW direction. Actually, part of the reason we haven’t been able to recover Europa yet is due to the strong winds in the surrounding area. If you have a look below, you can see the wind reports at, and around, Europa’s position. Remember, these are satellite projections. Europa is our real-time true report. Depending on how much you zoom in, you can see the little areas where the currents just go in circles (aka gyres). In other areas there are just steady streams that basically go in one direction. Europa has found itself in both of these throughout the last month, but, again, has mostly followed a SW path. 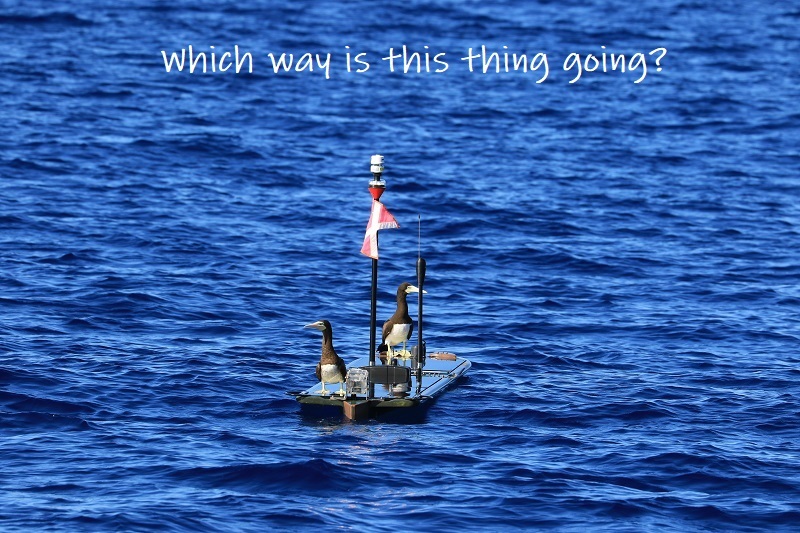 This is a unique, and unintentional, experiment where we get to monitor the ocean currents first hand out in the middle of the Pacific Ocean. It’s pretty cool to compare to these satellite projections and see how accurate they actually are. Europa’s location, relative to the entire Pacific Ocean. Well, we are still working to put together a recovery of Europa. Plans are in place, we are just waiting on a good break in the weather to go out an get it. Our main hopes are that we keep communications to the float, and that it doesn’t get hit by some debris or a boat passing by. We’ve had some close calls, but so far so good! We will keep you all updated and “current” (pun intended) as to what’s happening, and, as always, feel free to keep an eye on Europa from our HUMPACS page. If you’ve been following Europa’s journey west, you probably noticed a very distinct change in it’s behavior on February 11th, 2019 (about 9 days ago). This was not a planned detour. Unfortunately, all communication to the the sub has been lost. We can no longer control the rudder, and that means Europa is currently just drifting with the ocean’s currents. We are not sure what exactly caused this communication failure, but we took all possible steps to fix it remotely and found no success. 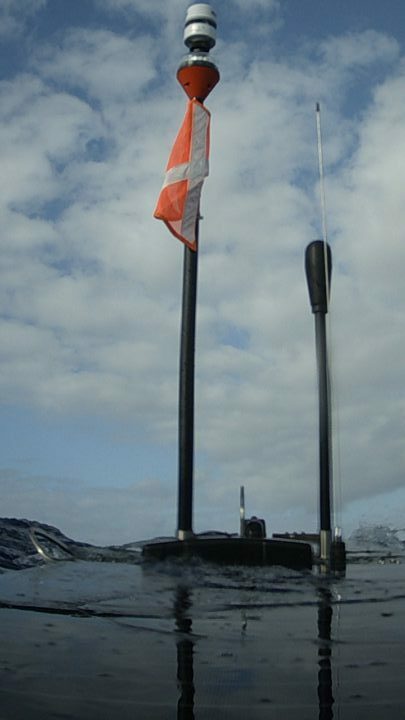 When the sub loses communication, it automatically gives itself a “right rudder”. This is for situations like the one we are currently in, and the hope is that the glider will just circle in the area where it lost communication until it can be fixed or recovered. Being that the glider is out in the middle of the Pacific Ocean, there are a lot of strong currents that are pushing the glider in certain directions. When the sub is trying to do one thing, and the float another, twists in the umbilical can occur. One twist means that the float has become 360 degrees out of sync with the sub. As you can see in the images below, Europa has had a number of twists take place since this communication error took place. Obviously, our plans have now changed! We need to find a way to recover the glider. There are actually a number of foreign fishing boats out in the vicinity, but that proves slightly difficult for a number of reasons. Language, when they will go back to port, ability to recovery the glider, willingness to help. These are all factors in this recovery that we are currently dealing with. Other options are also available in the Marshall Islands (currently about 700 nautical miles SSW of Europa), but they have their own issues as well. The above shows the path of a Taiwanese fishing boat, and how it missed direct contact with Europa by only 2.5 hours. The distance from the point where the two paths intersect to where Europa is currently at in this image is only 1 nautical mile. Unfortunately, due to communication issues, we were not able to contact the ship and have them try to recover Europa for us. Of note: Europa will typically automatically avoid vessels that it determines are in its path within a certain distance. Because of the fact that the float cannot communicate with the sub, this functionality is now basically inoperable. This puts Europa at a higher risk of being run over by a boat while drifting at sea, hence, we are trying to recover sooner rather than later. In the mean time, we are requesting audio files that are stored on board in 30 second clips through Rudics in hopes to salvage as much data as possible in the event that we eventually lose Europa to a collision. There are a few really good things that we still have going for us. We have full communication to the float. The sub is still attached. The cameras and lights and sensors on the float are still working. These are all things that we’re actually very happy about. We are able to keep an up-to-date location on Europa, and expect that’s going to be a vital part of the recovery once we get a plan in place. We are constantly working on a way to get Europa back, and will keep you updated along the journey. As always, you can continue to track Europa along the way, and if you have any information or thoughts as to how to help aide in the recovery, we’d love to hear them. Please feel free to reach out! We are offering a reward for the recovery of Europa.